It is with great sorrow to announce that Lucien J. Fiorello, Sr. passed away on Thursday August 23, 2018, at the age of 88. He was a lifelong resident of New Orleans. He loved to entertain everyone with his jokes and his exceedingly wonderful personality. He certainly will be missed. He was a veteran and served from 1948 to 1952 during the Korean War Conflict. He was the son of the late Alfred Fiorello, Sr. and Leontine Columbel Fiorello. Preceded in death by his loving wife of 42 years, Mary Calcagno Fiorello. 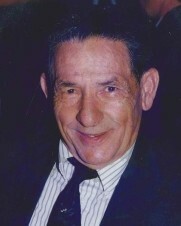 Father of Celie, Lucien, Jr, Ronnie, Donovan, Mary, Darryl and the late Linda Fiorello. Brother of Blanche Stergios and the late Alfred Fiorello, Jr, Ruby Arieux and Connie Daboval. Also survived by 12 grandchildren, 5 great grandchildren, and 2 great great grandchildren, nieces and nephews. Relatives and friends of the family are invited to attend the Funeral Service from Tharp-Sontheimer-Tharp, 1600 N. Causeway Blvd on Wednesday, September 5, 2018 at 1:00 pm with visitation beginning at 11:00 am. Inurnment private. In lieu of flowers donations can be made to All Saints Catholic Church, 1441 Teche St., New Orleans, LA 70114. Condolences may be expressed online at www.tharpsontheimerfh.com. Information 504-835-2341.